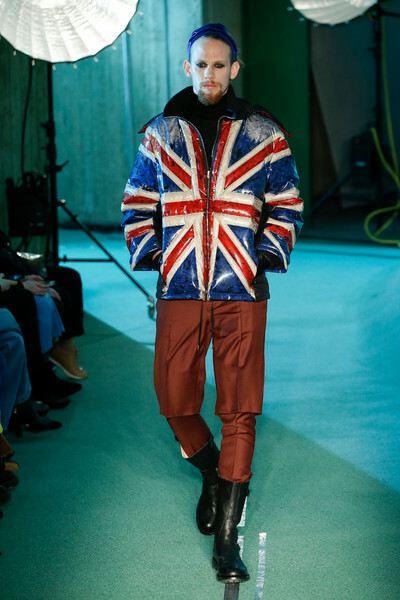 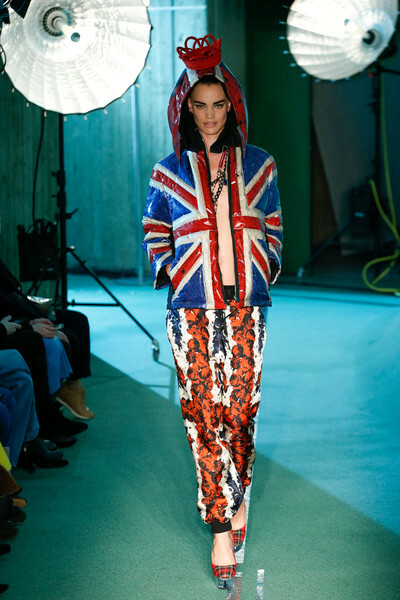 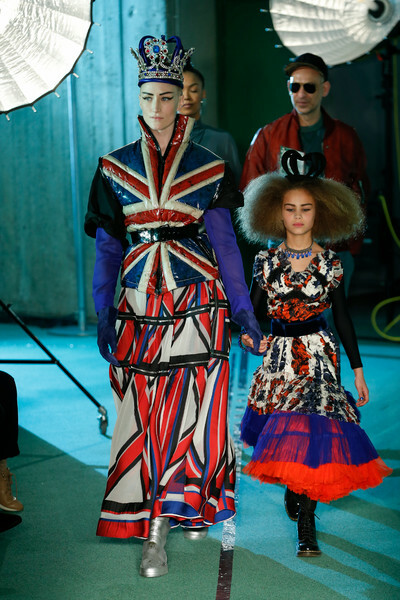 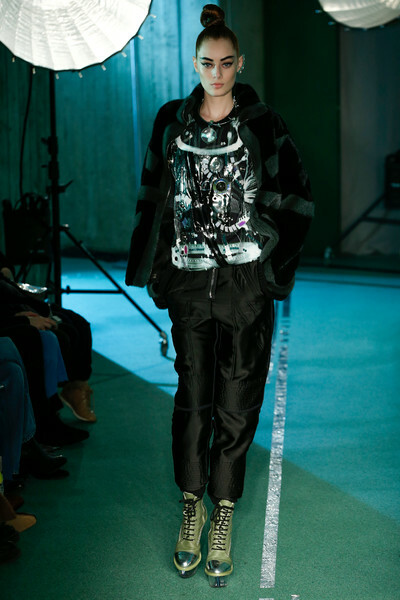 JPG was not just a womenswear show, the designer showed menswear and kids creations too. 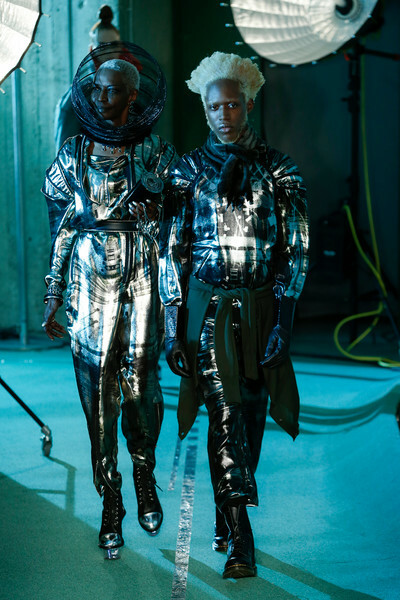 In fact the event went way beyond a simple fashion show. 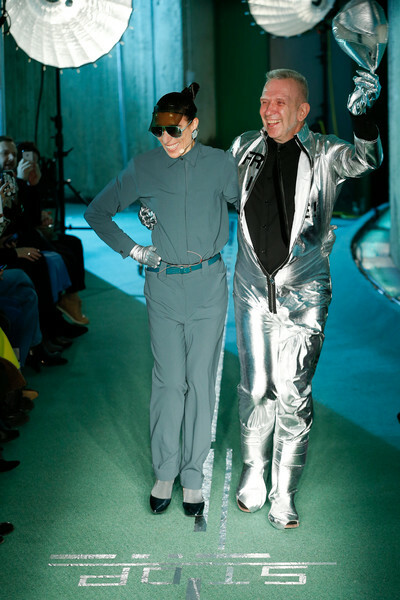 We were invited into Gaultier’s galaxy and flew to the moon and back in fifteen minutes. 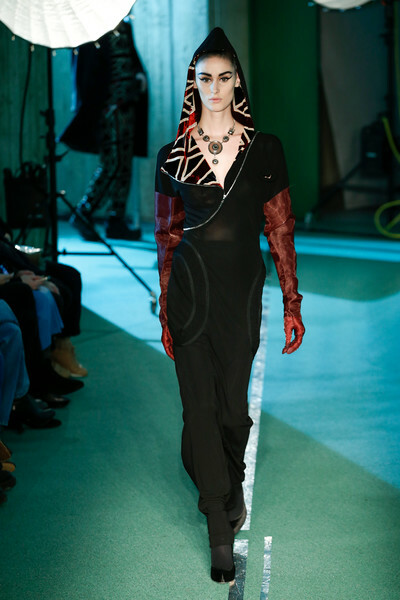 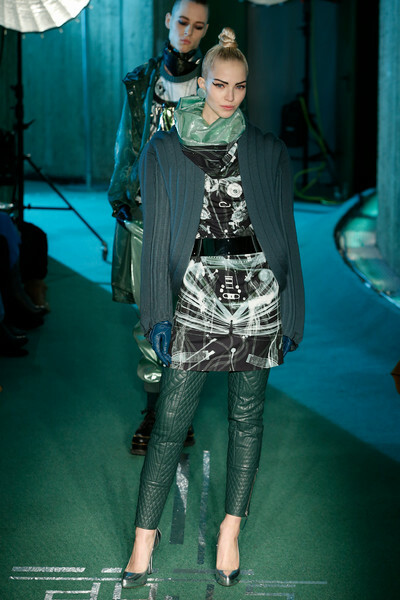 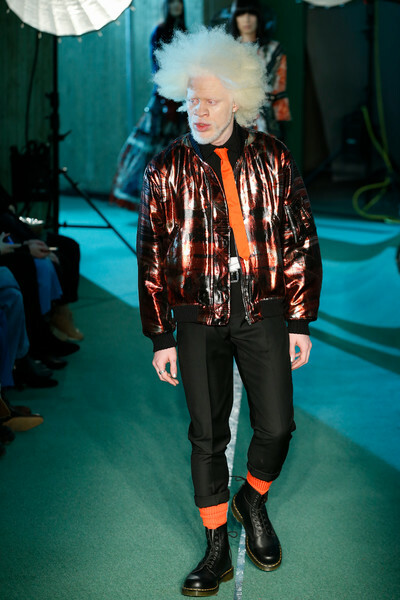 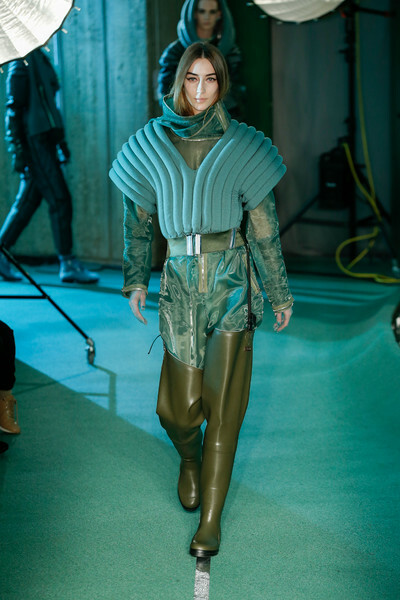 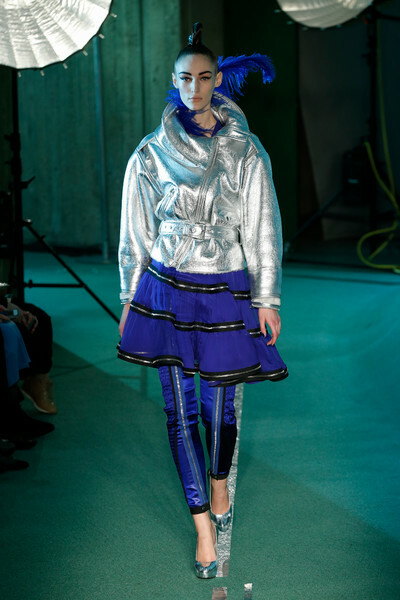 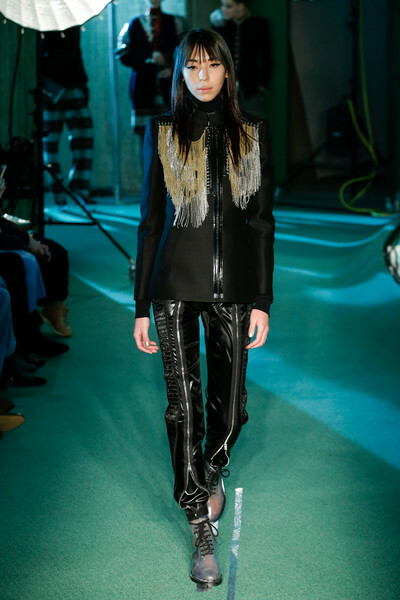 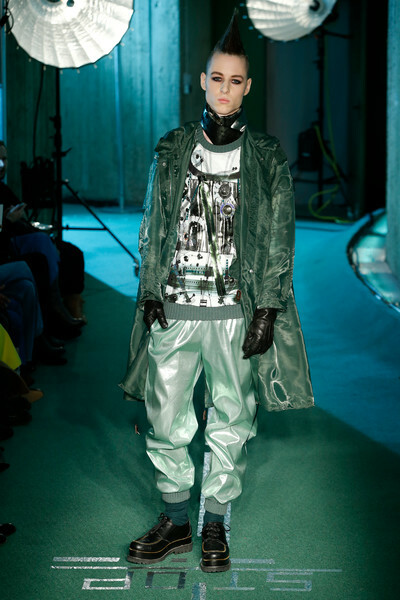 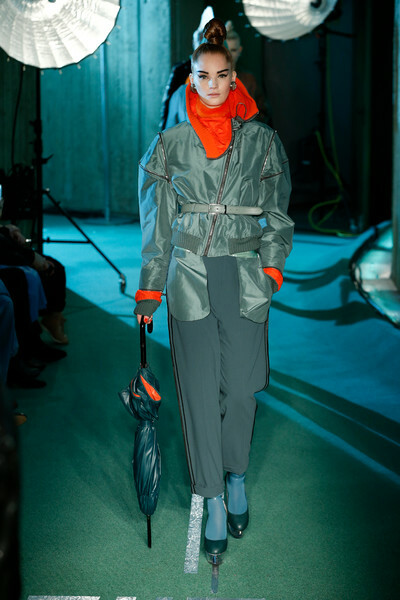 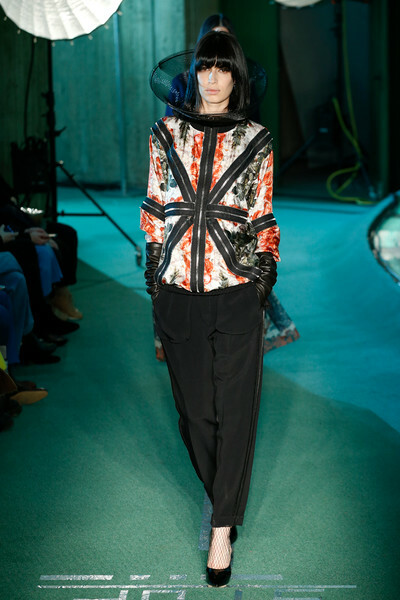 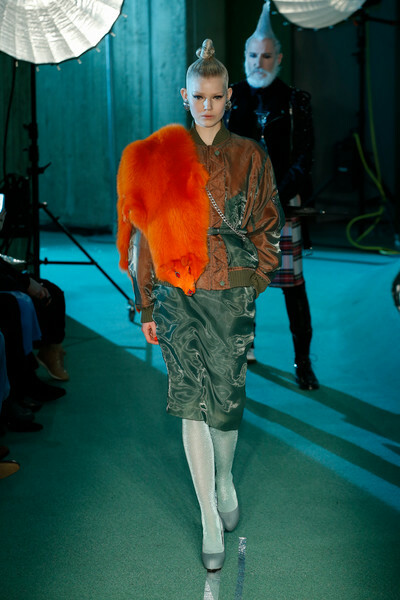 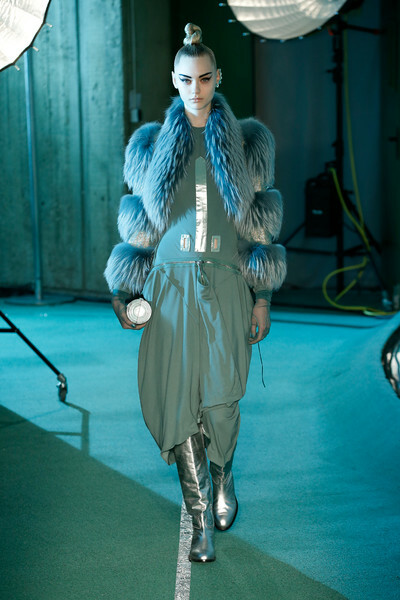 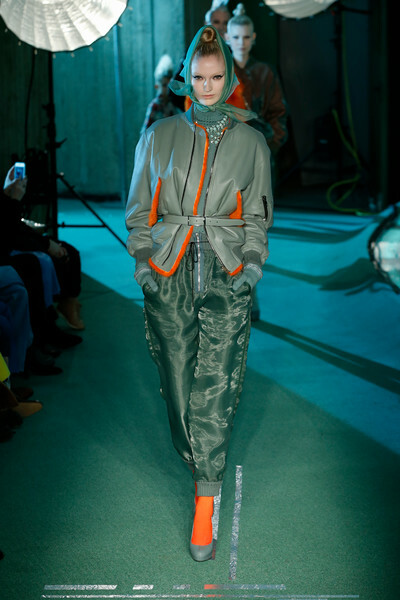 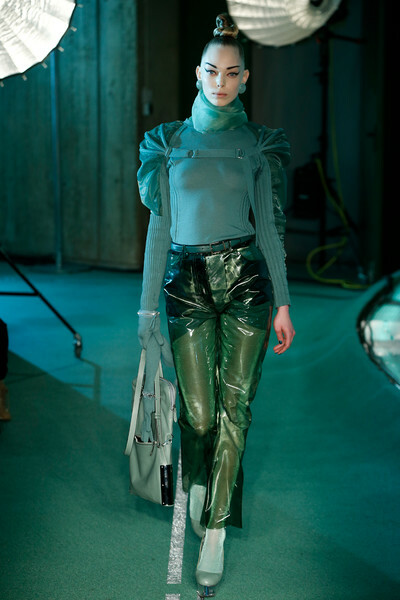 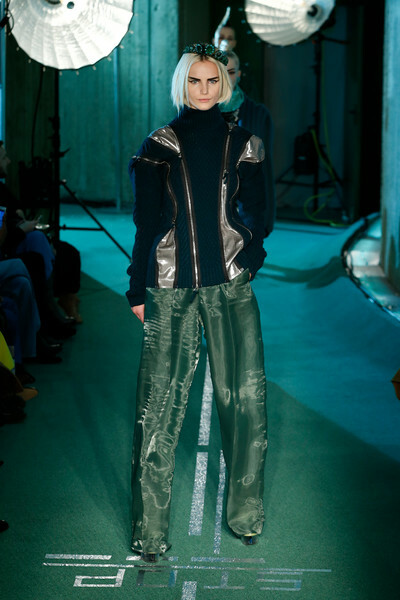 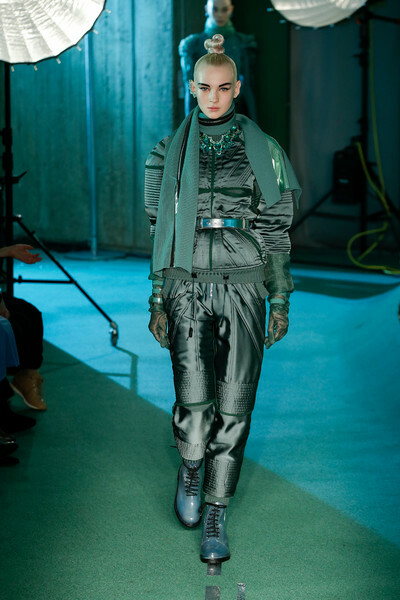 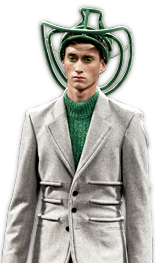 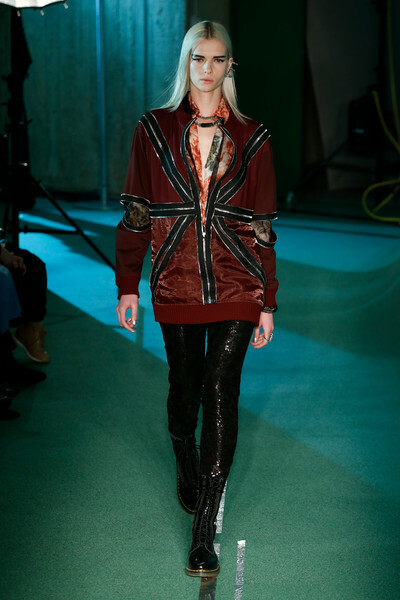 On our little trip we spotted guys and girls from outerspace rocking 3D hooded tops with metallic details, skinny leather pants, quilted satin skirts, high collars, organza layers, lots of zippers and fur details, all in a shade of grey/greenish (like the show area). 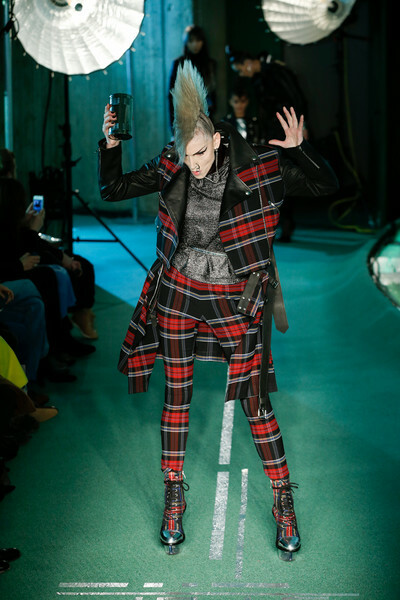 When the Mohawk man in his tartan skirt appeared the collection came slightly more towards earth (down to earth it never got). 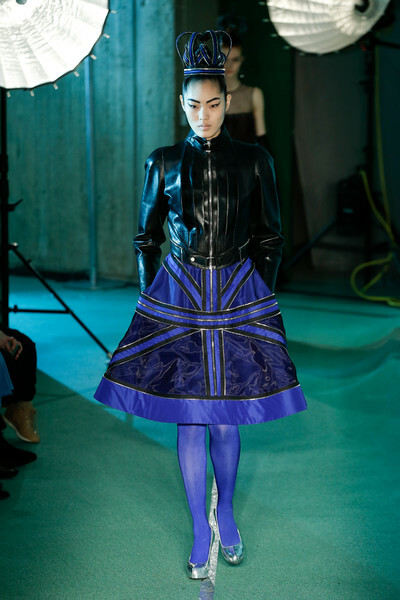 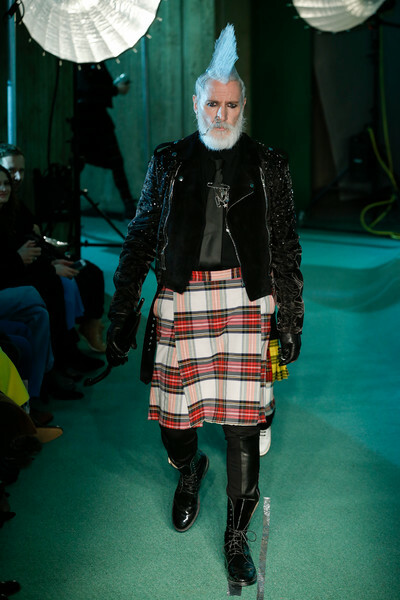 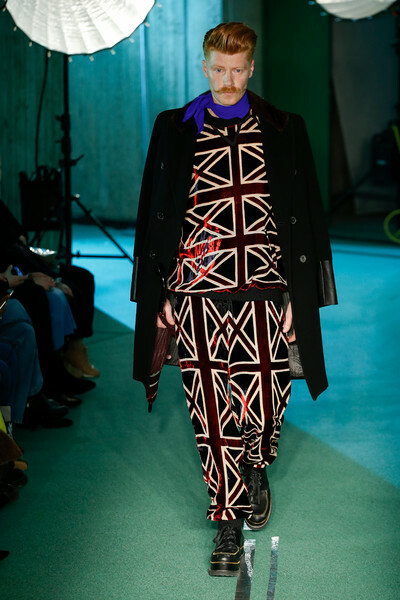 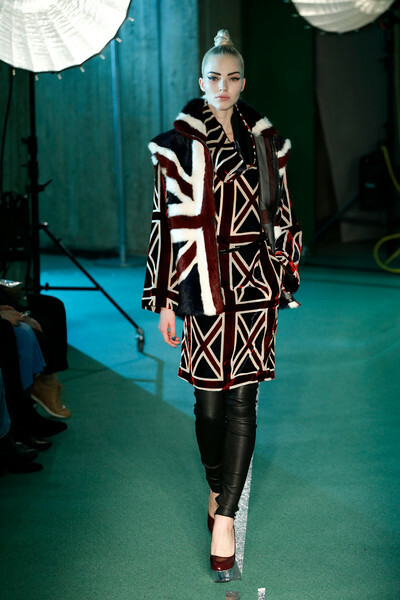 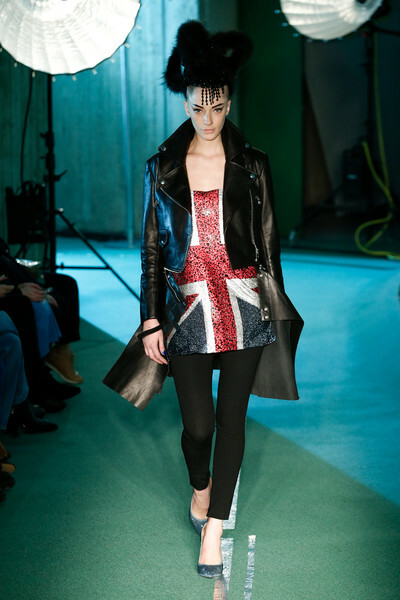 Biker jackets, leather skinny pants, short trenchcoats, flared skirts, lots of tartan prints, stripes and a wide selection of looks that had the British flague printed all over them. 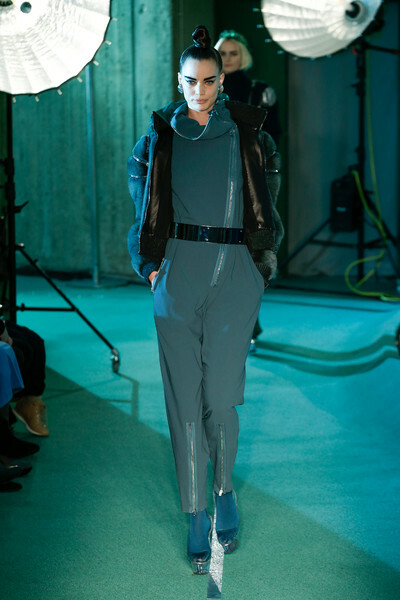 All in exaggerated proportions with lots of zippers and the same unearthy kind of styling. 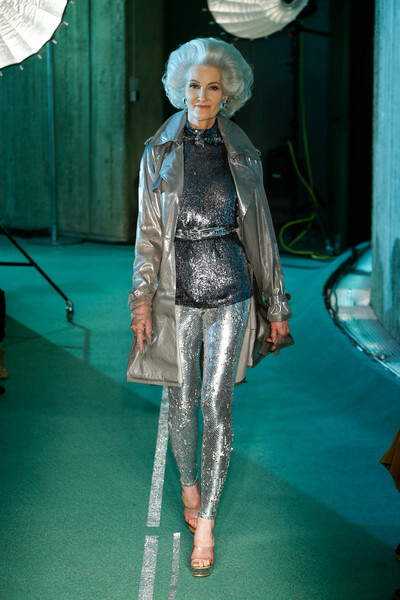 Futuristic looks for young and old. 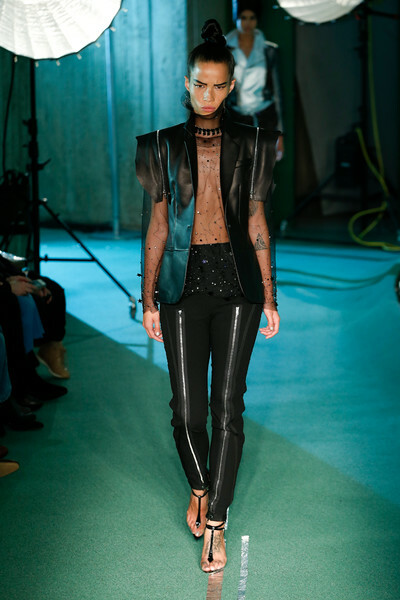 But most of the hyper modern looks seemed mostly suitable as a stage attire for JPG’s front row guest Rihanna.